You are here: Home / News / Win Tickets to see the Movers in New Orleans! Win Tickets to see the Movers in New Orleans! Enter for a chance to win a family four pack of tickets to the Movers' Dec 30 concert in New Orleans, thanks to Jefferson Parish Parent! I haven’t made it to New Year’s Day at midnight in a long time and neither has my daughter. Last year was the first year she knew she wanted to stay up and ring it in and we barely made it to 10. This year we are headed to an early concert to celebrate with one of her favorite bands the Imagination Movers. Want to celebrate New Year’s Eve Eve with your kids and their favorite band? 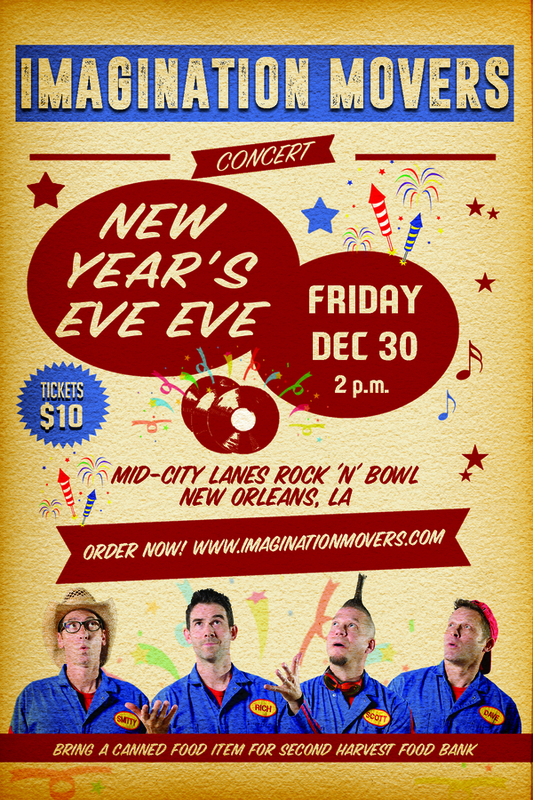 The Imagination Movers — stars of their own Disney Channel TV series — will count down to 2017 a day early at a daytime rock ‘n’ roll extravaganza on Friday, Dec. 30 at Mid-City Lanes Rock ‘n’ Bowl. A Movers show features original, highly interactive songs plus flying toilet paper, smoking trash cans, giant balloons and plenty more fun stuff. Don’t miss hometown heroes Rich, Scott, Dave and Smitty and drummer Kyle as they share their irresistible melodies and all-around goofy fun with parents and kids. Showtime 2 p.m. Remember to bring a canned good for Second Harvest Food Bank. 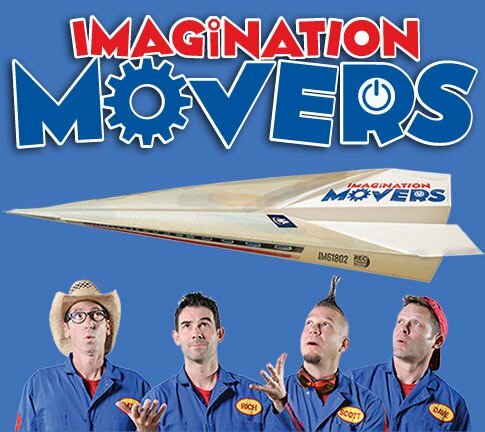 We are giving away tickets THREE family packs of 4 tickets to tickets to see the Imagination Movers New Year’s Eve Eve Concert! Just fill out the form below to enter! Must be 18 years of age or older to be eligible to win and live in or visiting the Greater New Orleans area the weekend of December 30, 2016. The giveaway will end at midnight December 16, 2016 and the winner will be chosen at random and notified on December 16, 2016 . Jefferson Parish Parent is no responsible for the delivery of the prizes.